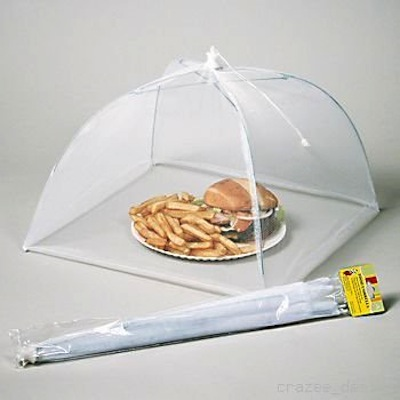 Keep this handy food tent around for those outdoor get togethers. Made of fine mesh nylon netting, it will keep the smallest of bugs off your food. Measures 18-inch sq. Sets up and folds up easily. Includes storage pouch.